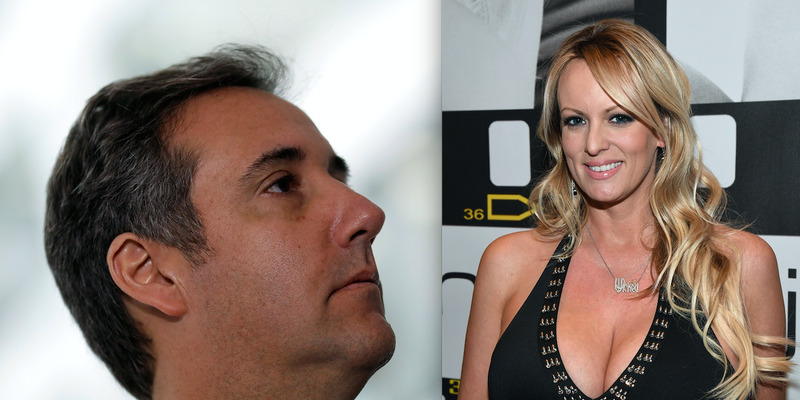 Reuters/Getty ImagesPresident Donald Trump’s lawyer Michael Cohen and the adult-film actress Stormy Daniels. A lawyer’s $US130,000 payment to the adult-film actress known as Stormy Daniels in 2016 may have amounted to an illegal contribution to Donald Trump’s campaign. But a former chairman of the Federal Election Commission told “60 Minutes” that Cohen’s payments could be considered an “in-kind contribution” well above what Cohen would be legally allowed to give the campaign. The FBI raided Cohen’s office Monday, off a referral from Mueller’s office. A $US130,000 payment by President Donald Trump’s lawyer Michael Cohen to the adult-film actress Stormy Daniels may have amounted to an illegal contribution to the Trump campaign, according to Trevor Potter, a former chairman of the Federal Election Commission. But Potter, who was appointed to the FEC by President George H.W. Bush, told Anderson Cooper in a “60 Minutes” interview that aired last month that Cohen’s payment may have violated campaign-finance laws, which the special counsel Robert Mueller could use in his mounting case against the president. “The payment of the money just creates an enormous legal mess for, I think, Trump, for Cohen, and anyone else who was involved in this in the campaign,” Potter said. On Monday, the FBI raided Cohen’s Manhattan office and seized documents connected to his payment to Clifford. The raid came after a referral from Mueller’s office, according to Cohen’s lawyer. If Cohen is claiming to have made the transaction on behalf of his friend and longtime client Trump, the situation could be seen by Mueller and those investigating the Trump campaign as a “coordinated, illegal, in-kind contribution by Cohen for the purpose of influencing the election,” Potter said, adding that it didn’t matter whether Trump paid Cohen back at a later time. “If he was then reimbursed by the president, that doesn’t remove the fact that the initial payment violated Cohen’s contribution limits,” Potter said. Ethan Miller/Getty ImagesDaniels’ real name is Stephanie Clifford. The watchdog group Common Cause lodged a complaint in January urging the Department of Justice and Mueller to investigate whether Cohen’s contribution violated reporting requirements and campaign-finance laws. While Mueller has been specifically investigating Russian interference in the 2016 election, Cohen’s payments to Daniels could be used as leverage for Mueller to extract information from Cohen regarding any ties to Russia. Mueller appears to be using that tactic in his investigation into Paul Manafort, Trump’s campaign chairman, who has been charged with tax evasion and bank fraud. Mueller is investigating two key events in which Cohen was extensively involved. These are the Trump Organisation’s effort in late 2015 to secure a Trump Tower deal in Moscow and Cohen’s subsequent contact with a top Kremlin official at the height of the 2016 election. Daniels’ lawyer Michael Avenatti disputed to “60 Minutes” that Cohen acted on a purely personal basis. According to documents provided by Avenatti, Cohen used his Trump Organisation email address to facilitate the payment to Daniels. Avenatti also said a copy of the nondisclosure agreement signed by Daniels in 2016 was sent to Cohen at his Trump Organisation office in New York. 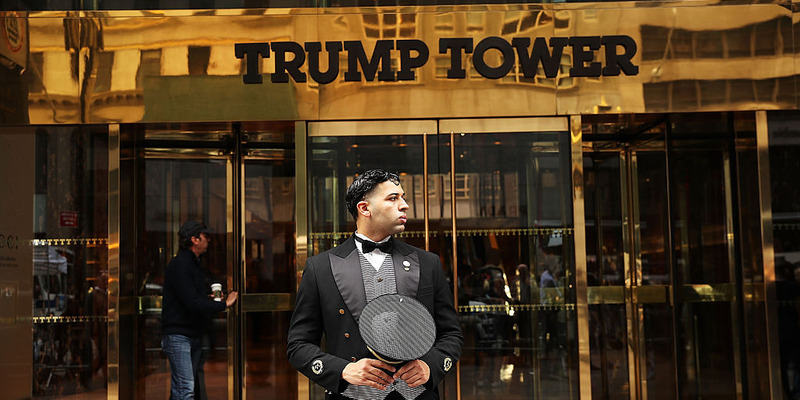 Other Trump Organisation employees have been further tied to the payments made by Cohen. Earlier this month, The Wall Street Journal reported that the Trump Organisation lawyer Jill A. Martin was listed as counsel in an arbitration filing for the Delaware company that Cohen used to pay Daniels, providing a direct link between Cohen’s payment and the Trump Organisation. Calls have been made for questions about the payment to be answered under oath. Trump said in January that he was “looking forward” to speaking with Mueller.